Happy Friday!!! This is my second day in London and another scheduled post for y'all! My friend Emma (who I am staying with) and I are hitting the art galleries today. Its been quite a while since I've been to galleries so I'm looking forward to reliving my student days and seeing some art! I hope this card goes to show that the Language of Love set isn't just for "love" cards. 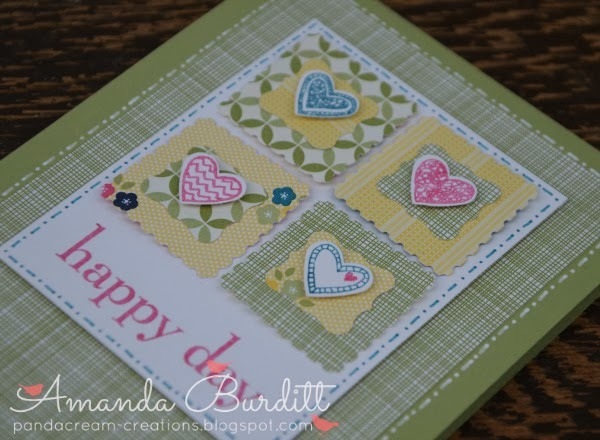 With this colour combo, the card just screams spring!! I think this is just a bit of a different take on a spring card - generally we think of them as being very floral so I like this with the hearts. This was actually a card we made back in January at card club - that was a while ago, huh? I thought I'd wait for Spring to come to show you this one though! 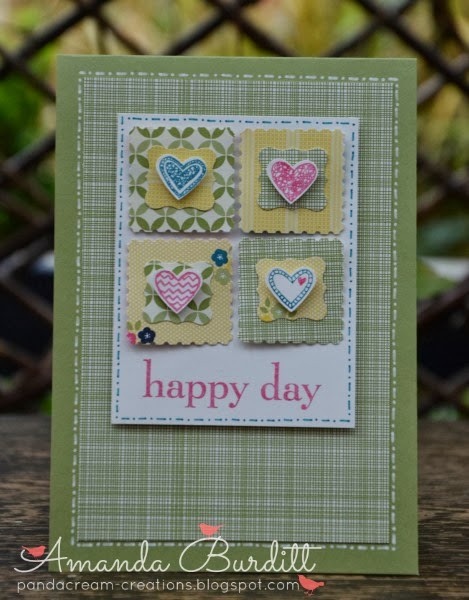 I think it really is the the Gingham Garden DSP that makes this so spring like. Its got to be one of, if not my favourite, paper of this year! The dash dot is a cute touch that just adds a little extra finishing touch. I love this technique which is so easy and cheap to do and gives a great finished look. Hope you enjoyed this. I'm back from London tonight so hopefully if I'm not too shattered and busy I'll have something new for you tomorrow!